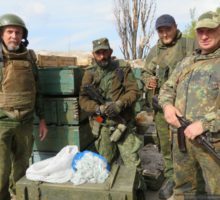 Archive photo by DPR Defense Ministry. 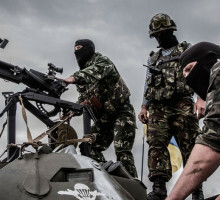 Ukrainian army attempted to breach Donetsk People’s Republic’s line of defense north of Donetsk last night, the enemy was stopped by small arms fire, DPR Operations Command informed Donetsk News Agency. 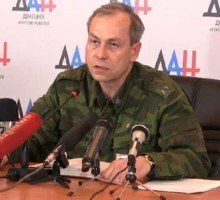 SBU (Security Service of Ukraine) officers started to arrest the Ukrainian army soldiers of the 58th Brigade, the Deputy Commander of the Donetsk People’s Republic (DPR) Operations Command Eduard Basurin stated during his briefing in the Donetsk News Agency, citing the intelligence information. 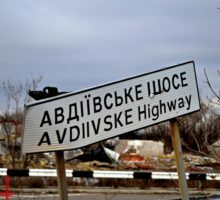 Thirteen Ukrainian servicemen died, another 25 were injured when they attempted to breach Donetsk People’s Republic positions in Avdeevka region on May 29, DPR Deputy Operations Commander Eduard Basurin claimed today during his daily briefing in Donetsk News Agency. 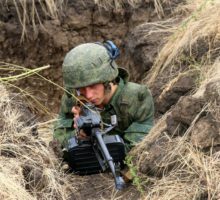 Ukrainian military attempts to breach the defense line of Donetsk People’s Republic between Avdeevka and Yasinovataya towns north of Donetsk, DPR Deputy Operations Commander Eduard Basurin. 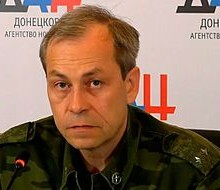 Six Ukrainian servicemen died during the attempt of the Ukrainian army to breach the positions of Donetsk People’s Republic Armed Forces near Avdeevka, DPR Deputy Defense Minister Eduard Basurin claimed today during his daily briefing in Donetsk News Agency press-center. 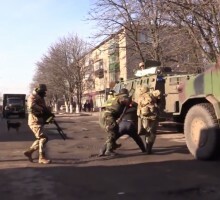 Dmitry Popov, chief of administration of Donetsk People’s Republic Ombudswoman, said that the reaction to mass detentions of people by Ukrainian security services in pre-frontline cities temporary occupied by the Kiev junta has already followed. 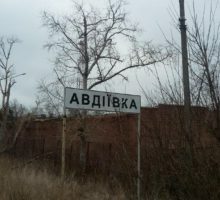 Drunk neo-Nazis decided to “sort out” their relations with junta’s militants and started a four-hour shootout near Avdeevka; after which they opened sporadic fire at Spartak village to hide the traces of the crime and put the blame on the militia, according to DPR Deputy Defense Minister Eduard Basurin.